It was Sydney Thunder 19-year-old Jason Sangha who did the damage with the bat in hand for the home team after the Melbourne Stars spinners ripped through the Thunder top order. 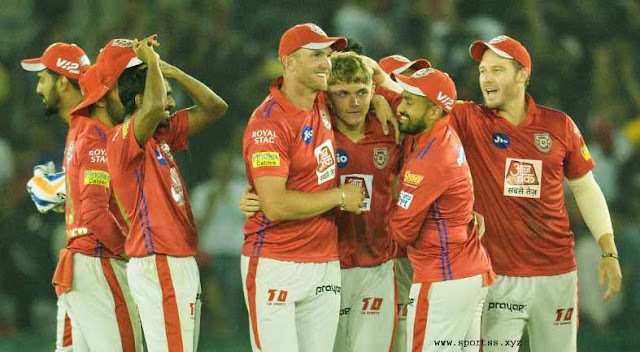 But after just three balls of the Stars’ run chase, the covers came onto the ground, causing a delay of nearly 45 minutes. However, Thunder quick Daniel Sams’ damaging spell put the result beyond doubt when play resumed, with the left arm claiming figures of 3-5. Nepal teenager Sandeep Lamichhane bowled superbly to finish with figures of 2-36 from 4 overs. The 18-year-old Stars wonderkid tormented the Thunder batsman and should have had another LBW were it not for a tough missed call. For the Thunder, it was 19-year-old Jason Sangha that lit up Manuka Oval with some breathtaking stroke play on the way to becoming the youngest player to make a BBL NYC 50. Sangha blasted 63 from 36 balls with four fours and four sixes and he helped steady the innings when he came to the crease, with the Thunder in trouble at 3-59. It is not hard to see why Sangha has been touted as ‘the next Ricky Ponting’. The teenage pair made a splash in their first game of the BBL NYC season and they both a big future in Twenty20 cricket. There were tears in the crowd when a person in the stands spilt a monster six from Callum Ferguson. What made the missed catch worse is that it hit an unsuspecting supporter on the knee, after it slipped through the first fan’s fingers. The Thunder finished with eight sixes from their innings thanks to Jason Sangha’s four maximums. However it was Ferguson’s six that was the second of the innings, which put the crowd firmly on their toes. Fox Cricket commentator Mark Waugh was flabbergasted when two LBW shouts went unrewarded in the Thunder’s innings, despite appearing plumb. Firstly Stars’ spinner Adam Zampa trapped Callum Ferguson on the back knee roll when he was on naught, but the umpire gave it not out. Next Sandeep Lamichhane appeared to catch Jason Sangha dead in front, but again the umpire ruled not out, much to the amazement of Waugh. “Are we not playing LBW’s tonight?” Waugh said with tongue in cheek. It was a costly no call for the Stars, as Sangha went on to top score with 63 to rescue the Thunder. The Thunder will travel back to Sydney and face the Sixers in the ‘Sydney Smash’ on Christmas Eve, while the Stars head to Hobart to face the Hurricanes on Monday afternoon. 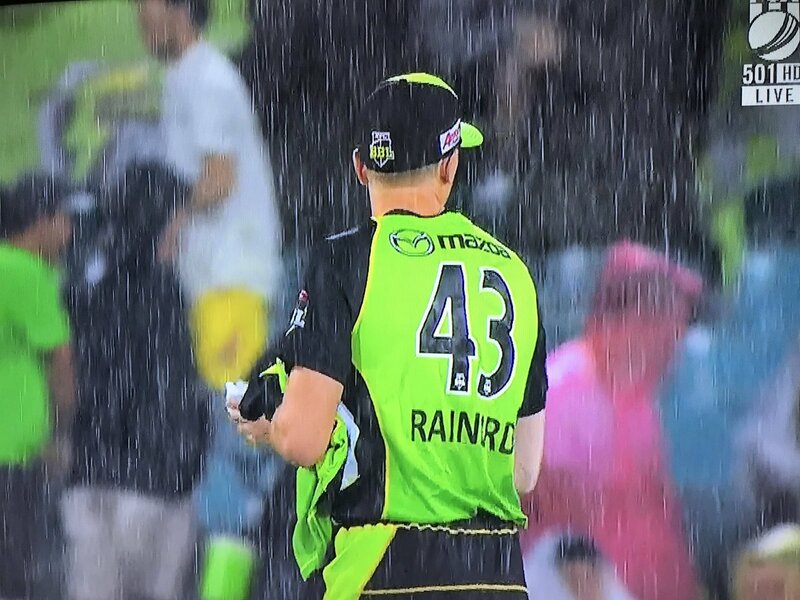 The weather played havoc on Friday night with rain delaying the toss time and interrupting the Melbourne Stars run chase after just three balls. And Cat Jones suggested there was one player to blame, eyeing off Thunder fast bowler Sam Rainbird. Time will tell whether the weather is just as poor when the Thunder play their next game.